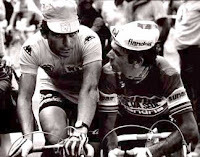 Bernard Hinault(left photo) once described Joaquim Agostinho as, " a large rider, very combative, a true warrior. It was a pleasure to have him as an adversary." It pretty much sums up the kind of rider he was. 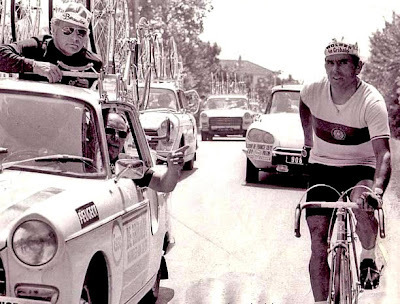 "Tinho", as he was affectionately called had a cycling career that lasted from 1968-1984.
in an amateur race in Brazil, saw his potential and offered him a contract. Word has it that Agostinho answered with a smile to seal the deal. But, with great stellar careers his was short lasting. 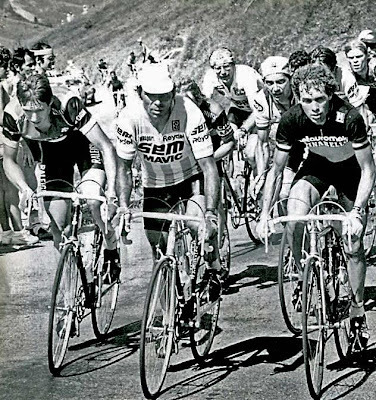 During the 1984 Tour of the Algarve a dog step out in front of him. He never wore a helmet, always found it uncomfortable, and fell landing on his head. 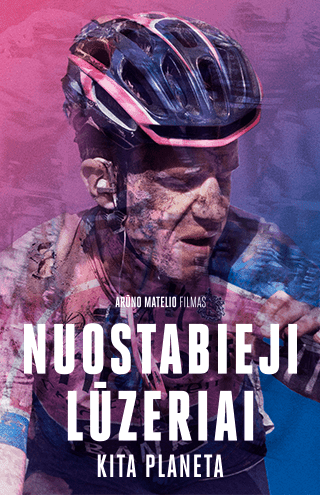 Amazingly, he got back on his bike, helped by his teammates and crossed the finish line. The nearest hospital was some 400 km away, and if it was closer, perhaps he would've lived. Joaquim Agostinho went into a coma and died 10 days later, on May 10th, 1984 in Lisbon. The funeral was attended by thousands of fans and he was mourn as a national hero. 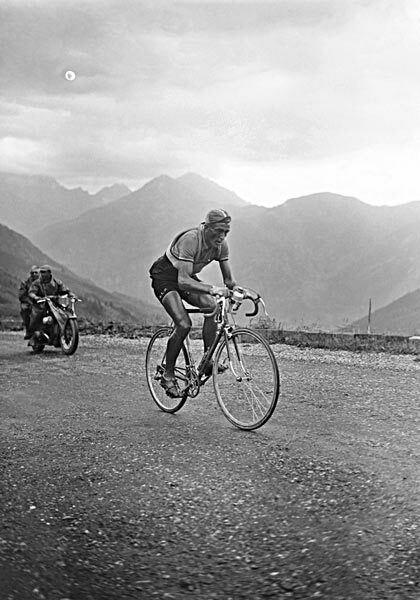 Monuments were erected to the legacy of this ageless racer ... the beloved Tinho from Torres Vedras. 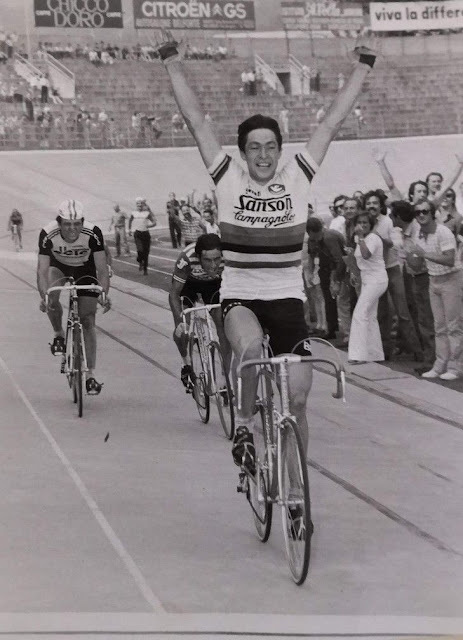 His final Tour in 1983, 'Tinho' (Sem-Mavic) at the head of the pack dancing with les grimpeurs. From Tour 83. I know the website very well!